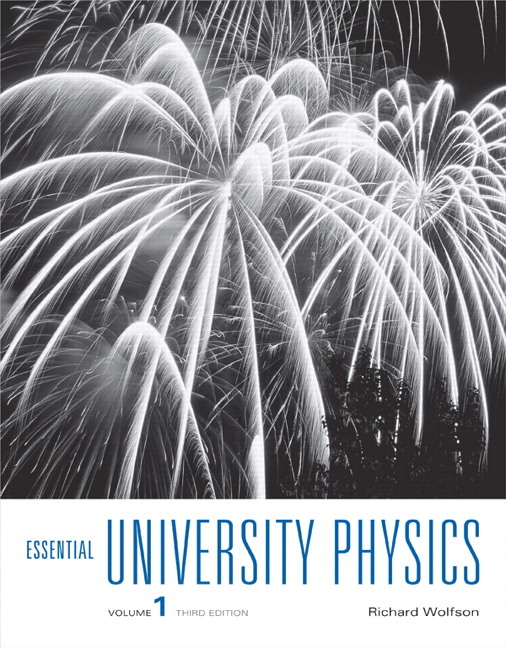 Richard Wolfson's Essential University Physics, Third Edition is a concise and progressive calculus-based physics textbook that offers clear writing, great problems, and relevant real-life applications in an affordable and streamlined text. Essential University Physics teaches sound problem-solving skills, emphasizes conceptual understanding, and makes connections to the real world. Features such as annotated figures and step-by-step problem-solving strategies help students master concepts and solve problems with confidence. 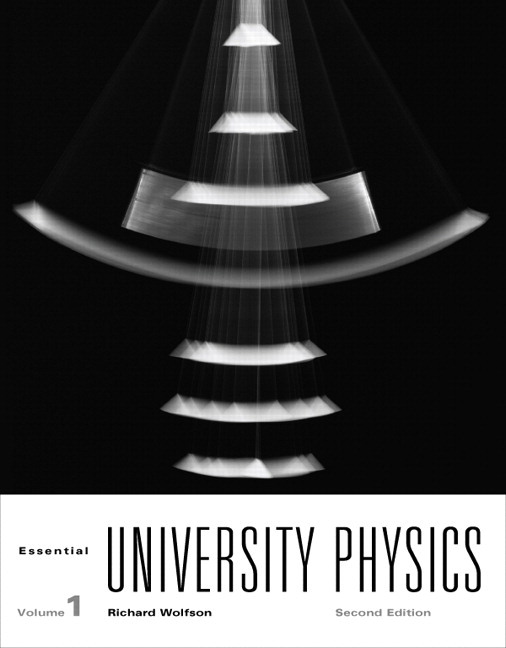 Essential University Physics is offered as two paperback volumes available together or for sale individually. MasteringPhysics and Essential University Physics work together, creating a seamless learning suite that supports student learning before, during, and after class. You can ensure students arrive ready to learn by assigning educationally effective content before class and encourage critical thinking and retention with in-class resources such as Learning Catalytics™. NEW | Big Picture features begin each chapter, connecting past, present, and future content. Students will develop an understanding of the connections between different physics principles helping them to see how the overarching principles fit together. NEW | Got It? questions present multiple-choice and ranking task problems in most sections to prompt students to check their understanding of key concepts as they read. "GOT IT?" questions have been revised for classroom response systems to inspire classroom discussion. NEW | Increased numbers of both Conceptual Examples and worked examples help students understand how to work through the more difficult problems and concepts. Every chapter includes applications exploring modern examples of physics in the real world. NEW | More engineering applications prepare engineering students for the field. NEW | The author has reorganized the text so that calculus examples and problems have been moved up earlier in the discussion, allowing students to tackle more challenging physics problems and instructors to introduce topics using either algebra or calculus. Written with brevity and affordability in mind, Wolfson offers a concise and streamlined solution for students and instructors. Review the table of contents below for Essential University Physics, Third Edition to gain a better understanding of the textbook’s organization and the topics covered in each chapter. Chapter 7 is available for download as sample chapter in PDF format. You'll need Acrobat Reader to view the chapter. 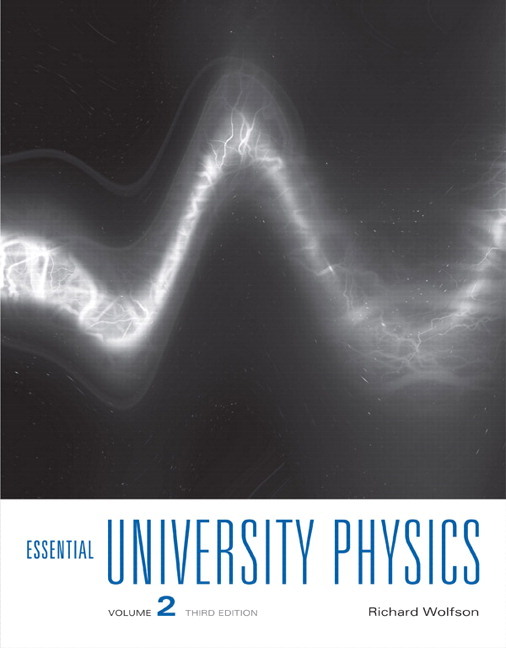 Essential University Physics is offered as two paperback volumes available together or for sale individually. Volume 1 contains Chapters 1–19. Volume 2 contains Chapters 20–39. MasteringPhysics from Pearson is the leading online homework, tutorial, and assessment system, designed to improve results by engaging students before, during, and after class with powerful content. Instructors ensure students arrive ready to learn by assigning educationally effective content before class and encourage critical thinking and retention with in-class resources such as Learning Catalytics. Interactive Pre-lecture videos address the rapidly growing movement toward pre-lecture teaching and flipped classrooms. These videos provide an introduction to key topics with embedded assessment to help students prepare before lecture and to help professors identify student misconceptions. Chapter 7 is available for download as a sample chapter in PDF format. You'll need Acrobat Reader to view the chapter. Richard Wolfson has been professor of physics at Middlebury College for more than twenty-five years. In addition to his textbooks, Essential University Physics, Physics for Scientists and Engineers, and Energy, Environment, and Climate, he has written two science books for general audiences: Nuclear Choices: A Citizen's Guide to Nuclear Technology and Simply Einstein: Relativity Demystified. His video courses for the Teaching Company include Physics in Your Life, Einstein's Relativity and the Quantum Revolution: Modern Physics for Non-Scientists, and How the Universe Works: Understanding Physics, from Quark to Galaxy. For two- and three-semester university physics courses. NEW! Interactive Prelecture videos address the rapidly growing movement toward pre-lecture teaching and flipped classrooms. These videos provide an introduction to key topics with embedded assessment to help students prepare before lecture and to help professors identify student misconceptions. Prelecture Concept Questions check students’ familiarity with key concepts, prompting them to do their assigned reading prior to coming to class. These quizzes keep students on track, keep them more engaged in lecture, and help you spot what concepts they might be having the most difficulty with. Open-ended essay questions ask students to identify what they found most difficult about a certain concept, helping to better inform you and assisting with “Just-in-time” teaching. Tutorials, featuring specific wrong-answer feedback, hints, and a wide variety of educationally effective content, guide your students through the toughest topics in chemistry. The hallmark Hints and Feedback offer instruction similar to what students would experience in an office hour, allowing them to learn from their mistakes without being given the answer. NEW! Video Tutor Demonstrations feature "pause-and-predict" demonstrations of key physics concepts and incorporate assessment to actively engage students in understanding key conceptual ideas. New VTDs build on the existing collection, adding new topics for a more robust set of demonstrations. PhET Tutorials prompt students to engage with the renowned PhET simulations and test students’ conceptual understanding. PhET Simulations are interactive tools that help students make connections between real life phenomena and the underlying physics. NEW! Big Picture features begin each chapter, connecting past, present, and future content. Students will develop an understanding of the connections between different physics principles helping them to see how the overarching principles fit together. Got It? questions present multiple-choice and ranking task problems in most sections to prompt students to check their understanding of key concepts as they read. NEW! “GOT IT?” questions have been revised for clicker systems to inspire classroom discussion. NEW! Media links (as scanable QR codes) link to Video Tutor Demos (VTDs). These are placed in the text near appropriate content, so students have easy access to a more visual, engaging presentation. NEW! “For Thought and Discussion” answers are now available to instructors in the Mastering Instructor Resource Area (MIRA), making it easy to spark classroom discussion. NEW! Increased numbers of both Conceptual Examples and worked examples help students understand how to work through the more difficult problems and concepts. The text promotes the overarching theme that physics has a simple foundation that underlies a wide range of topics. Key equations and definitions are set on colored screens with titles and explanatory material, so that students will not grab a bare equation without a sense of how to apply it. Visual chapter and part summaries present a big-picture review of key concepts and connections using multiple representations (words, equations, and figures). NEW! Calculus earlier: the author has reorganized the text so that calculus examples and problems have been moved up earlier in the discussion, allowing students to tackle more challenging physics problems and instructors to introduce topics using either algebra or calculus. The consistent and explicit problem-solving strategy is designed to develop students’ confidence and conceptual problem solving skills by systematically setting up problems rather than diving right into the math. The IDEA (Interpret, Develop, Evaluate, and Assess) framework, used in every worked example, begins with a problem’s key ideas, stresses the importance of planning a solution and drawing a diagram, works through the math, checks for reasonable answers, and relates the problem’s content to a broader understanding of physics. Problem-Solving Strategy boxes follow the IDEA framework and provide detailed guidance for specific classes of physics problems. Pencil-style illustrations in worked examples teach students to use simple sketches in problem solving to help develop conceptual understanding. Tips offer concise explanatory or cautionary notes for typical misconceptions and identify the fundamental connections between new and old topics. Tactics boxes review mathematical topics and develop specific problem-solving skills. NEW! More engineering applications prepare engineering students for the field. Chapter-opener photos, accompanied by thought-provoking questions, showcase examples of physics in everyday life. Biomedical-related questions investigate the physics concepts behind biological topics. These appear in end-of-chapter problem sets. Passage Problems, similar to the types of questions asked on the MCAT, appear in end-of-chapter problem sets. Each set includes four multiple-choice questions based on a passage of text, often with an accompanying figure or graph, and involves biomedical and other real-world scenarios. Interactive Prelecture videos address the rapidly growing movement toward pre-lecture teaching and flipped classrooms. These videos provide an introduction to key topics with embedded assessment to help students prepare before lecture and to help professors identify student misconceptions. Video Tutor Demonstrations feature "pause-and-predict" demonstrations of key physics concepts and incorporate assessment to actively engage students in understanding key conceptual ideas. New VTDs build on the existing collection, adding new topics for a more robust set of demonstrations. Big Picture features begin each chapter, connecting past, present, and future content. Students will develop an understanding of the connections between different physics principles helping them to see how the overarching principles fit together. “GOT IT?” questions have been revised for clicker systems to inspire classroom discussion. Media links (as scanable QR codes) link to Video Tutor Demos (VTDs). These are placed in the text near appropriate content, so students have easy access to a more visual, engaging presentation. “For Thought and Discussion” answers are now available to instructors in the Mastering Instructor Resource Area (MIRA), making it easy to spark classroom discussion. Increased numbers of both Conceptual Examples and worked examples help students understand how to work through the more difficult problems and concepts. One new data-based, multipart problem appears in each chapter, supporting the new MCAT exam that will be released in 2015. At least 20% of the problem sets have been improved based on analysis of metadata from MasteringPhysics, reinforcing areas where students struggle the most. Significant figures have been made consistent throughout the text. The Instructor’s Solution Manual has been thoroughly revised for accuracy. Calculus earlier: the author has reorganized the text so that calculus examples and problems have been moved up earlier in the discussion, allowing students to tackle more challenging physics problems and instructors to introduce topics using either algebra or calculus. More engineering applications prepare engineering students for the field. Volume 1 contains Chapters 1–19. Volume 2 contains Chapters 20–39. Richard Wolfson has been professor of physics at Middlebury College for more than twenty-five years. In addition to his textbooks, Essential University Physics, Physics for Scientists and Engineers, and Energy, Environment, and Climate, he has written two science books for general audiences: Nuclear Choices: A Citizen’s Guide to Nuclear Technology and Simply Einstein: Relativity Demystified. His video courses for the Teaching Company include Physics in Your Life, Einstein’s Relativity and the Quantum Revolution: Modern Physics for Non-Scientists, and How the Universe Works: Understanding Physics, from Quark to Galaxy.